Know a Student Who Wants to Learn to Code? CodeNow is accepting applications! Creating the Developers of the Future! Have a friend you think might be interested? Make an impact in the lives of our students. In June, CodeNow will launch our first computer programming workshop in Miami! with the support of the Knight foundation. We are excited to introduce Miami high schoolers to the world of computer programming through in-person trainings. Students will be taught to look under the hood of technology, and find out first hand if it is something they are interested in. At the workshop students will learn the fundamentals of coding by creating games and apps. Students who go through our program explore programming with professional software engineers at a local tech company. Students get to see what working as a coder is really like. We are currently recruiting high schoolers to become a part of our program. If you or someone you know is a high school student who has an interest in tech, encourage them to apply! The Miami workshop will be held June 14, 15 and 28. Students are required to attend all three days. The application deadline is May 30th and students are accepted on a rolling basis, so apply today! CodeNow is a nonprofit focused on teaching underrepresented high school students foundational skills in computer programming. We seek to diversify the talent pipeline of students who pursue computer science and technology. 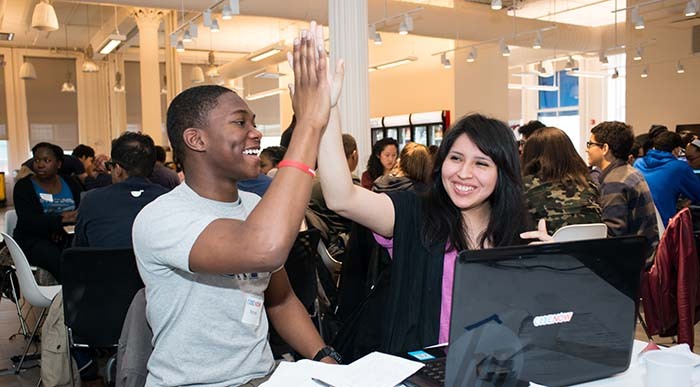 We do this by providing free, out-of-school training to students on the weekends hosted at tech companies. Our program is essential because it lowers the barriers normally associated with technology by giving students exposure to programming at an early age when they are beginning to explore their options and opportunities. CodeNow currently has programs in New York City, San Francisco, Washington DC and Miami. You can read more about us here. Here’s what our students had to say about CodeNow! You are receiveing this email because you subscribed to recieve email newsletters an information from CodeNow. If you do not wish to receive these newsletters please unsubscribe. Copyright © 2014 CodeNow, All rights reserved.